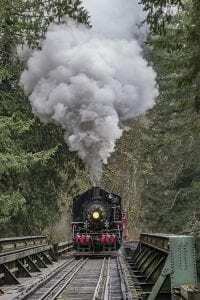 YACOLT — The haunting sound of a steam train’s whistle echoed along the Lewis River near Yacolt over the weekend, as the Chelatchie Prairie Railroad concluded its holiday schedule with steam train excursions on Saturday and Sunday. 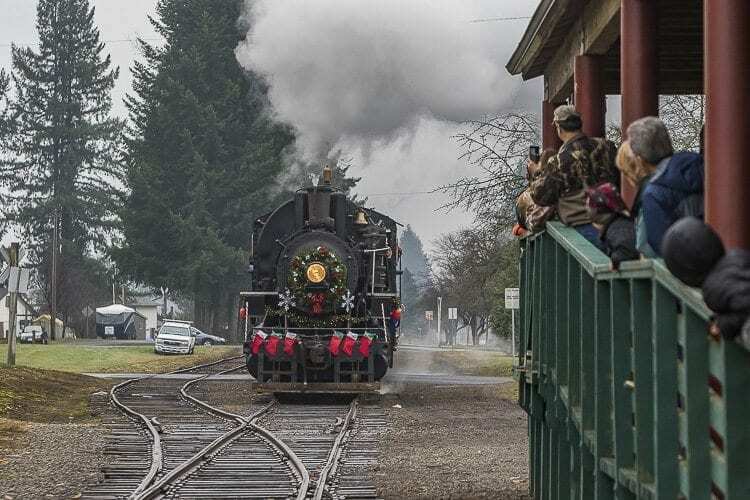 Throughout November and December, the Chelatchie Prairie Railroad hosted excursion train rides from its station in Yacolt, and the holiday trains ended over the weekend with a train pulled by the railroad’s historic ALCO steam engine. 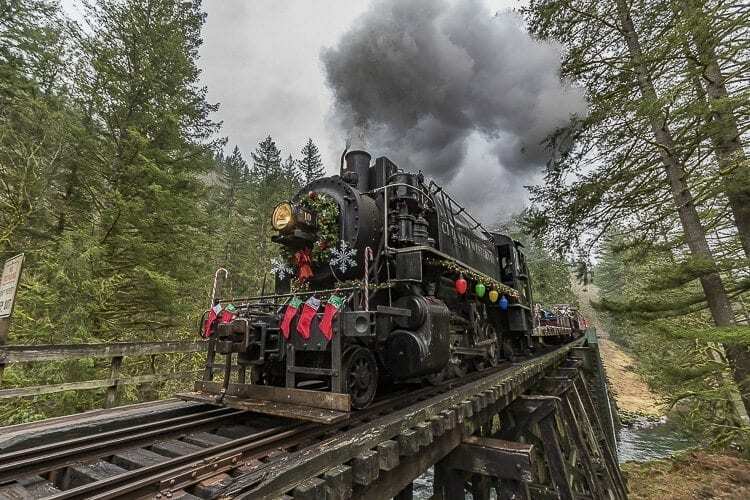 The train departed from the station in Yacolt and traveled south along the Lewis River, crossing the East Fork of the Lewis River on the wooden railroad trestle. The train then turned north and stopped at a train station near Moulton Falls before returning to Yacolt. 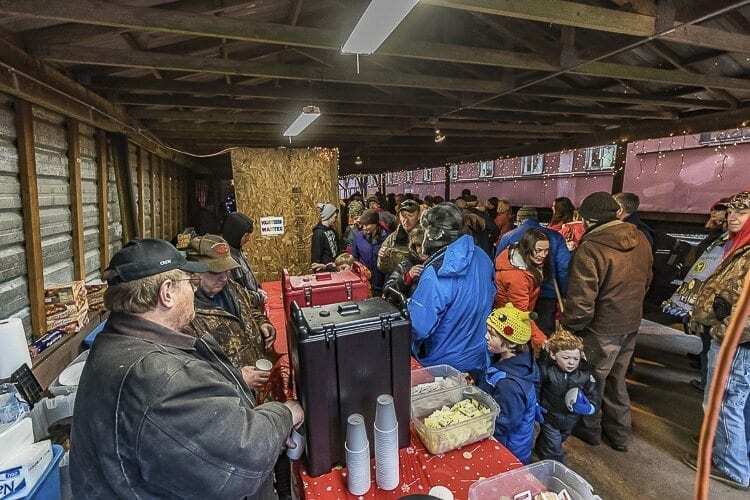 At the Moulton Falls station, passengers got off the train for refreshments and the chance to greet Santa Claus. Children and families could have their picture taken with Santa, played by Randy Williams, and the children were able to pick out a stuffed animal to take home with them. Trevis and Sheri Guin of La Center rode the train on Saturday with their two children, Ashlyn and Westyn. The family has ridden the train for three years during the holiday season, and said that they initially found out about the excursion train online. For the children, the best part of the train ride was getting to meet Santa Claus. For the first three weekends of the excursion train schedule, passengers could buy a Christmas tree at the Moulton Falls station. On the last weekend however, most of the trees had been sold. Nearly 650 trees were sold over the first three weekends. In addition, the first three weekends averaged 500 to 600 passengers each weekend on the train. 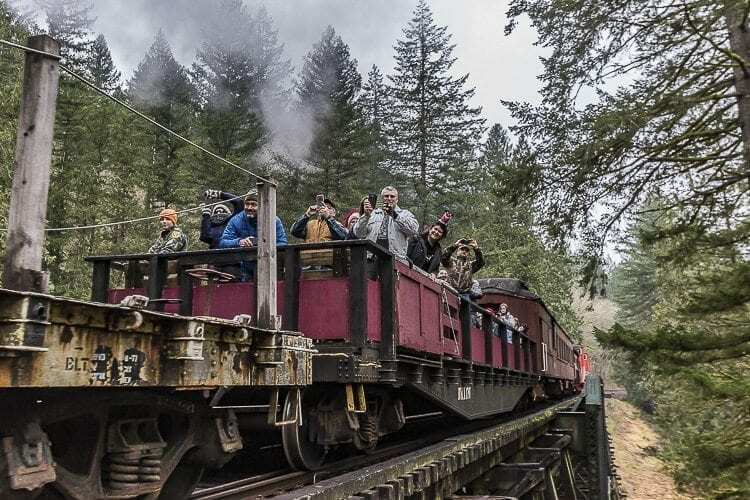 According to Chelatchie Prairie Railroad volunteer Will Pickering, the railroad has run tourist excursions since 1982, and Pickering began working with the railroad about a month afterwards. 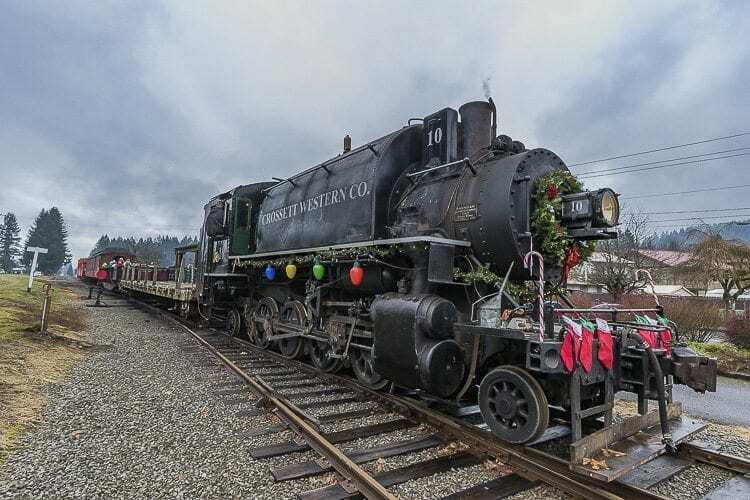 The railroad’s tank engine, built by ALCO in 1929, wears the livery of its first user, Oregon logging company Crossett Western Company, according to the railroad’s Facebook page. 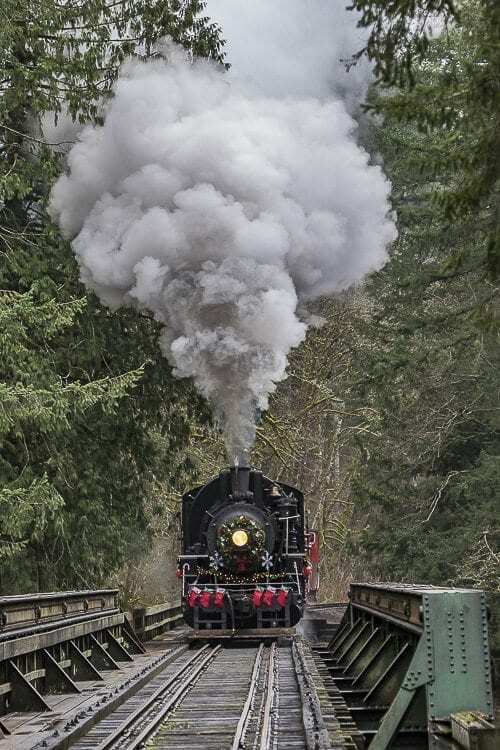 The locomotive was used in Oregon before spending time in California and Shelton, Wa., before being acquired by the Chelatchie Prairie Railroad in 2002. After several years of restoration, the engine was pressed into operational use in 2006. Pickering said that operating the tank engine requires extensive maintenance. For every hour of operation, 8 to 10 hours of maintenance is required. All of the work is done by volunteers. 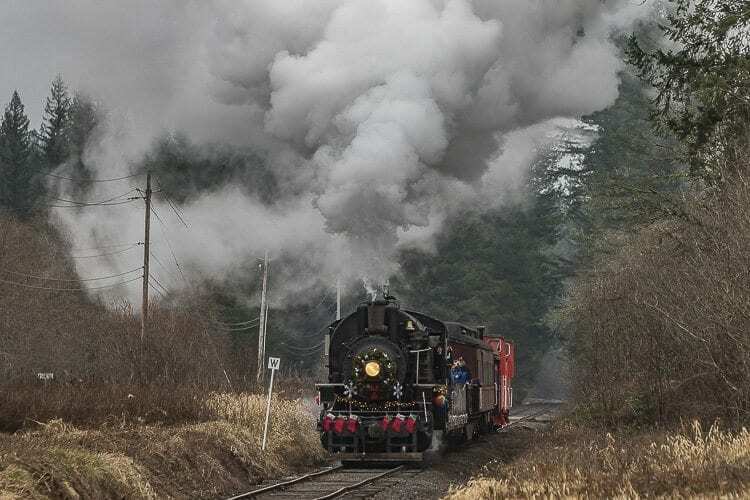 According to Pickering, the work is “a nice break” from his regular job, as he can “come out and work with big heavy tools.” He said that the best part of volunteering on the railroad is getting to share the experience with younger riders. The Chelatchie Prairie Railroad schedule will resume in the spring. For more information, visit bycx.org.